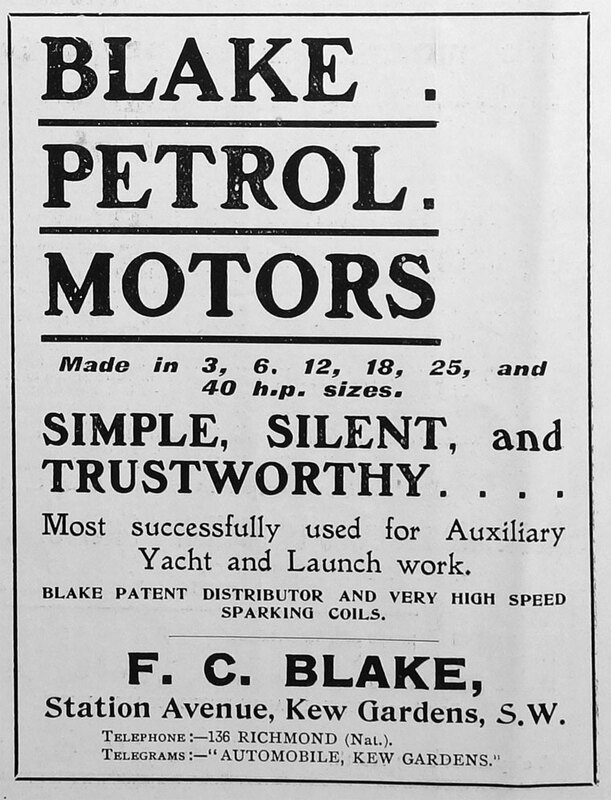 Blake Motors of Dalling Road, Hammersmith, London. 1906 of Station Avenue, Kew Gardens, London S.W. 1901 July. 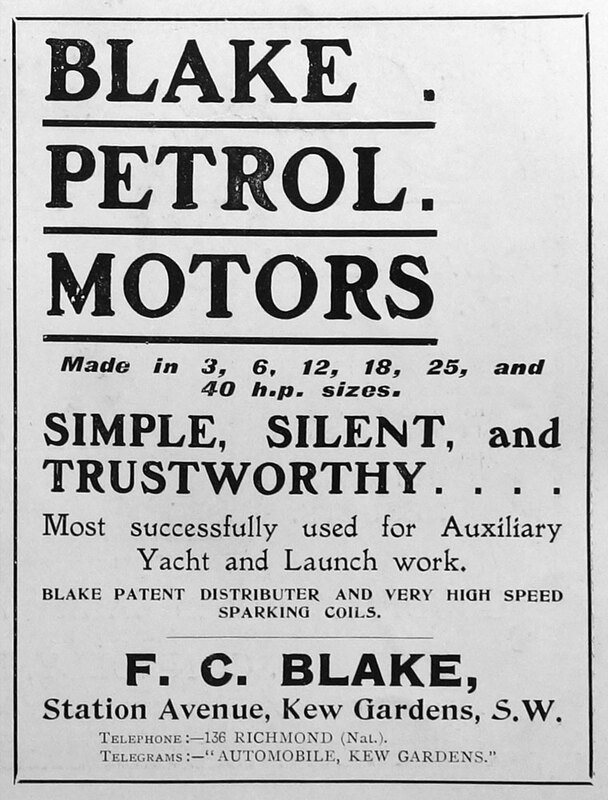 Details and image of the Blake 4-hp car. 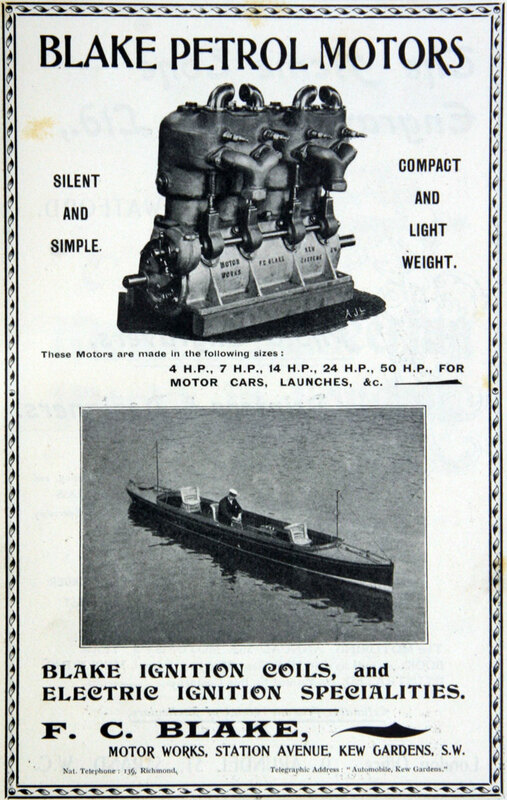 1902 Detailed description of the 14-hp motor. 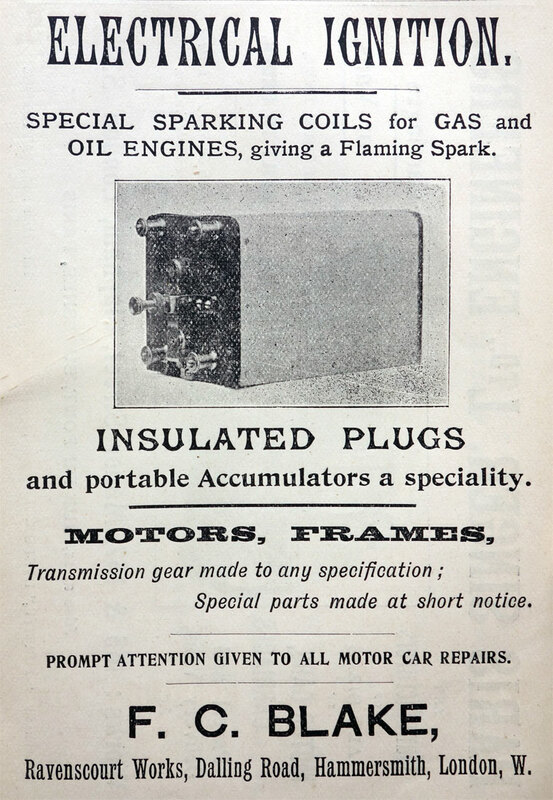 1921 Listed as a marine motor engineer of Station Avenue, Kew Gardens. This page was last edited on 11 February 2019, at 16:55.